One of the things I was still allowed to enjoy after developing gestational diabetes was yogurts and it just so happened I got contacted about reviewing Rachel's Organic during this time so of course I had to give them a try! Personally I had never heard of the brand and I had certainly never seen any of the products while out doing my shopping. Rachel's Organic started producing yogurt in 1984 when Rachel experimented with a recipe which had belonged to her grandmother. It was also during that year that Rachel's Organic was officially founded. This was after there had been a snowstorm two years before, during which they'd been forced to find alternative products that can be made from milk. Products like cream and butter. It didn't take much longer for them to be stocked in major supermarkets. The brand now also makes desserts as well as their yogurts. Their range of yogurts is extensive and they even make children's versions in little individual pots! 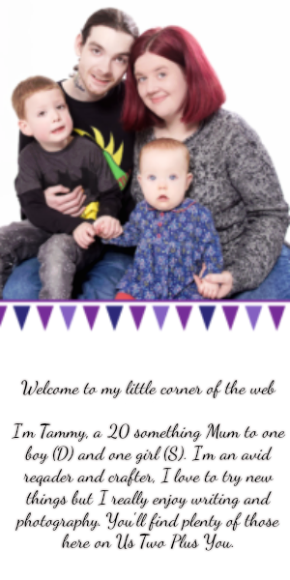 The children's range is called 'My First Yogurts' and they are a multi pack of 4 yogurts. There are two different packs to choose from, one contains strawberry and banana while the other has raspberry and blackcurrant. I picked up the strawberry and banana flavours as D loves all things banana flavoured and he's a big fan of strawberry yogurt. D loved the banana flavour and has even requested we get more during every shopping trip! I would say they have been a massive hit with him and he does enjoy the strawberry flavour too, it just has to be after the banana. 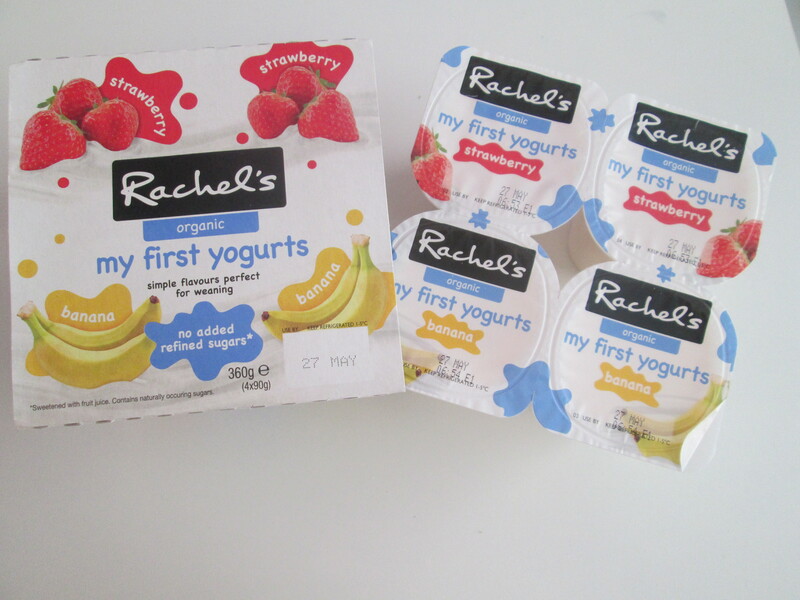 I was pleased to find that the 'My First Yogurts' range from Rachel's Organic are made with real fruit and it is still smooth the whole way through as it is made with a fruit puree. D has never been a fan of bits in his yogurt and on many occasions has refused to eat any with bits in so this was a big plus for me! I loved that I knew what goes inside his yogurt this way and I was able to read the label without much worry regarding the ingredients and the nutritional values stated. The ticks at the bottom mean you can quickly check in the shop if they are suitable! As you can see above the 'My First Yogurts' labels are clear and easy to read. I also picked out two of the brands big pots of yogurt, I chose the vanilla and the raspberry flavors. These big pots by Rachel's Organic contain 450g each and the whole range is very extensive and includes all kinds of fresh and organic ingredients. This means the range should have a little something that everyone will enjoy! The big pots of Rachel's Organic each come with a reusable plastic lid on top of the yogurt seal meaning they can be kept in the fridge with the lid on top to keep them fresh after opening. I also love that almost all of the packaging is recyclable! The only part of the pot that must go in the bin is the small plastic yogurt seal on top of the pot. The pot itself, the plastic keep fresh lid and the cardboard sleeve are all recyclable and easy to separate too. Personally I wasn't all that keen on the Vanilla flavour, although I did enjoy it slightly more when I added some nuts and seeds or granola on top. 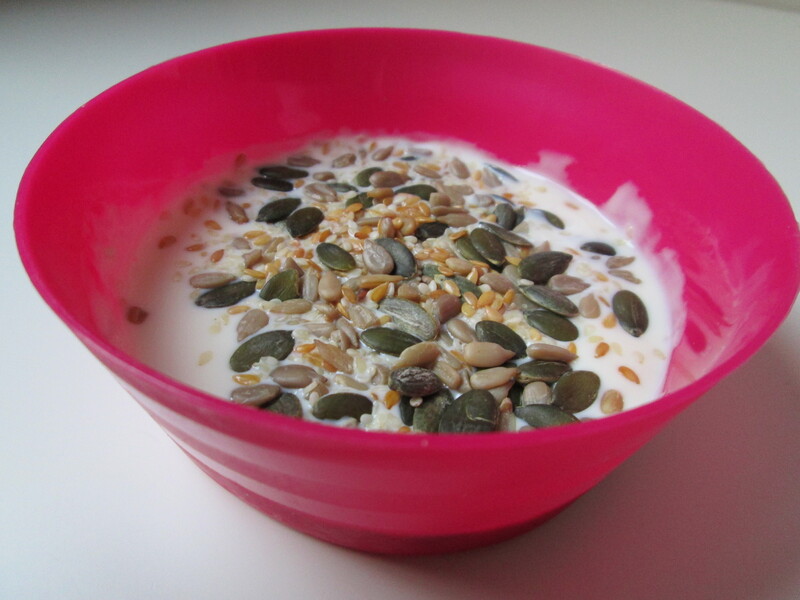 I did like the smooth texture the vanilla yogurt offered and this allowed me to add whatever I fancied to a bowl for a quick snack. The other advantage I found with this was that it didn't have much impact on my blood sugar and that allowed me to enjoy it as a dessert or as a part of my lunch as well as a small portion for a snack. 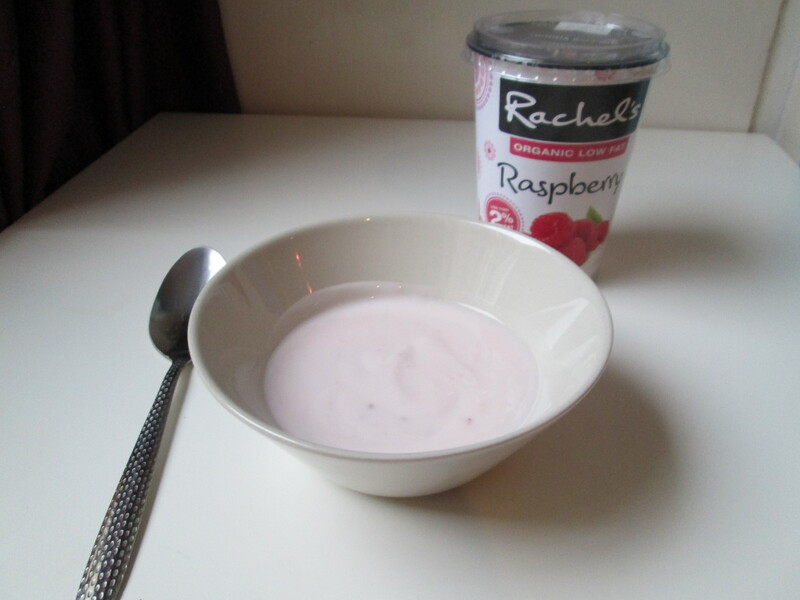 I much preferred to have the raspberry flavor of Rachel's Organic as just yogurt. I really enjoyed the strong flavour of raspberry and I did really enjoy the actual bits of raspberry which all had a consistent size. I hate eating a yogurt and getting piece of fruit as a large chunk when you least expect it! I did find that the raspberry flavour was slightly less thick than the vanilla flavour but I enjoyed the texture and the creamy flavour of both yogurts. The big pots of Rachel's Organic are also perfect to get if you are adding yogurt to granola or a dessert for the whole family as they would be the perfect size. 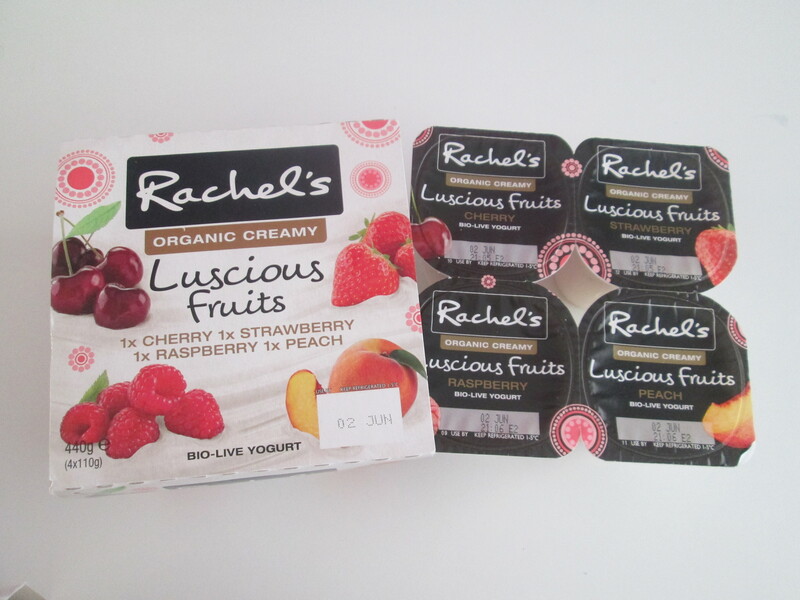 The final Rachel's Organic product I tried was the from the 'Luscious Fruits' range which is the brands 4 pack of individual yogurts for adults. The range has 4 packs, I picked the pack which contains cherry, raspberry, strawberry and peach. The only flavour I really didn't like was the cherry, I didn't finish the small pot. I don't normally like cherry but picked this pack for the other flavours. I did really like the raspberry (as i mentioned above) along with the strawberry. I didn't mind the peach flavour but it wouldn't be my first pick from the pack. All the fruit flavours in the pack tasted strongly of the flavour you expected but much creamier. 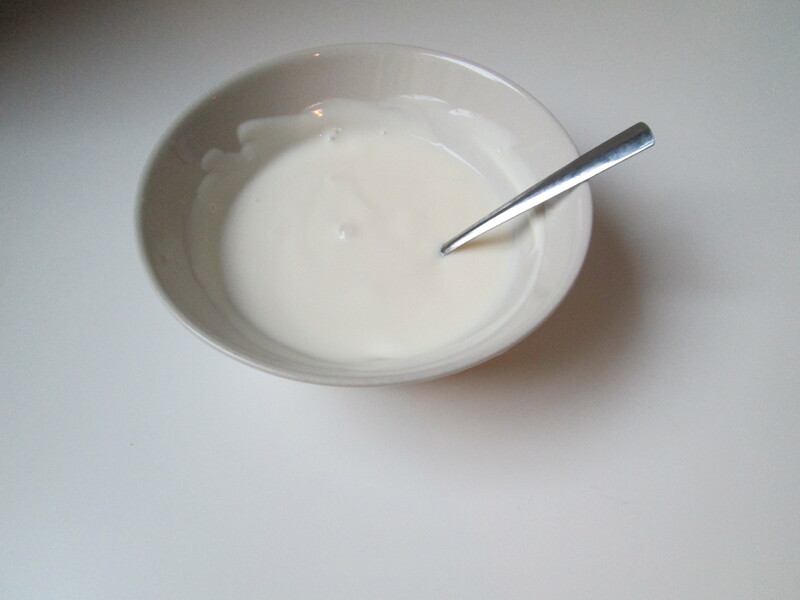 The yogurt itself is creamy and feels smooth in your mouth. These small indivual yogurts are perfect for popping into your lunch box/ bag or for taking along with you on picnics. It also means you can get more than one flavour to try if you are finding out which flavours you like and which you might not! 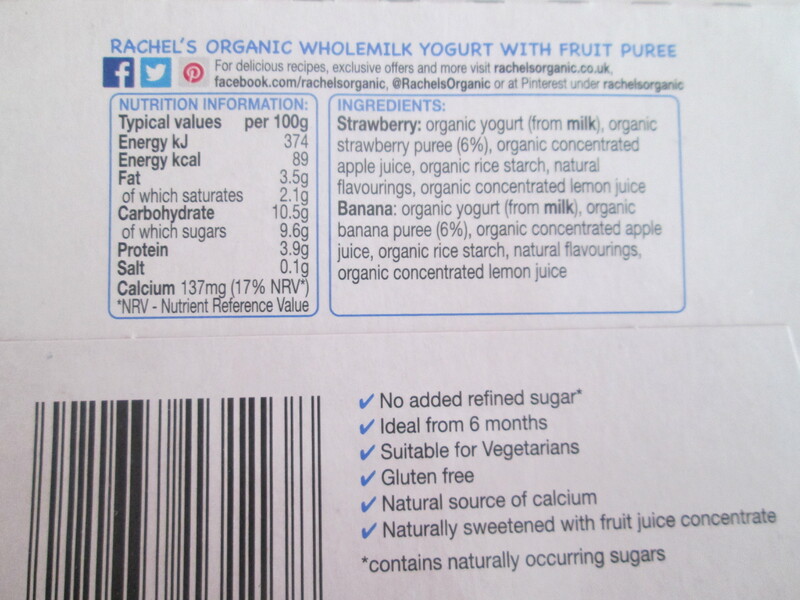 The mix of just the right amount of fruit and yogurt makes Rachel's Organic stand out from other organic yogurt brands. I know that Rachel's Organic will now be a much-loved brand in our household and will permanently be on my shopping list as they seem to disappear within a few days! As a whole Rachel's Organic Yogurt is a lovely and healthy treat for anyone and they do cater to the whole family right from the weaning stage right up to the picky adults who only like certain flavours! They will have something for everyone to enjoy. Rachel's Organic is available in Tesco, Morrisons, Sainsbury's & Waitrose. Clicking on the links will take you to the products available in the online stores. 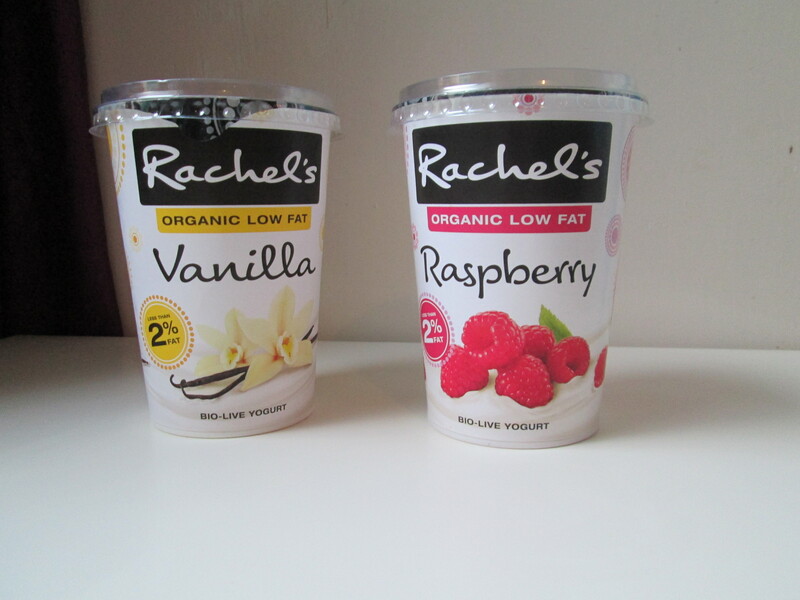 The big pots of Rachel's Organic in Raspberry and Vanilla have a RRP of £1.75. The Luscious Fruits range has a RRP of £2 while the My First Yogurts has a RRP of £2. Disclaimer: We received the products featured above in return for an open and honest review. All thoughts and opinions expressed above are all my own.